Ultimately, Connected TV is a powerful open-platform form of advertisement that caters to a range of new applications. It's a way for today's brands to reach out to a younger audience of people who want to be able to access the online world all the time. These tech-savvy audiences are essential for today's companies, as they make up one of the biggest purchasing markets available today. 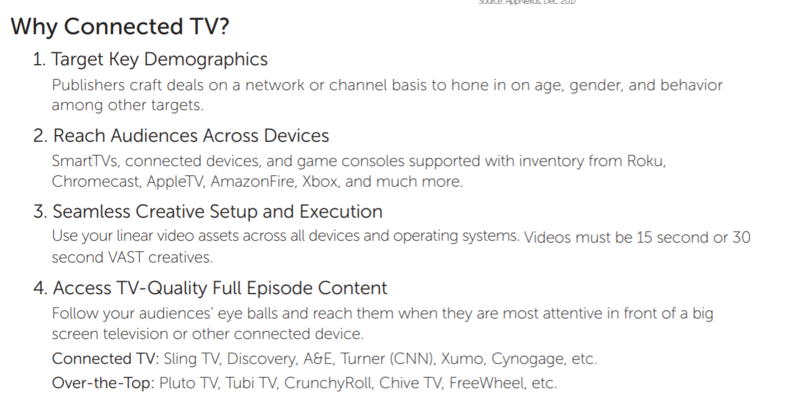 Various ad formats: Connected television is all about entertainment. That means that businesses have more opportunities to experiment with their ad format, whether that means playing with video, exploring animation, or adding interactive elements to their campaigns. A more engaging ad delivered through CTV can lead to better customer engagement. Higher completion rates: People are used to dealing with advertisements on a television. We've all grown up watching channels full of ads, so we're comfortable simply letting marketing messages run their course. Alternatively, online, people are more likely to skip through ads, or close marketing pop-ups when they disrupt their typical browsing experience. 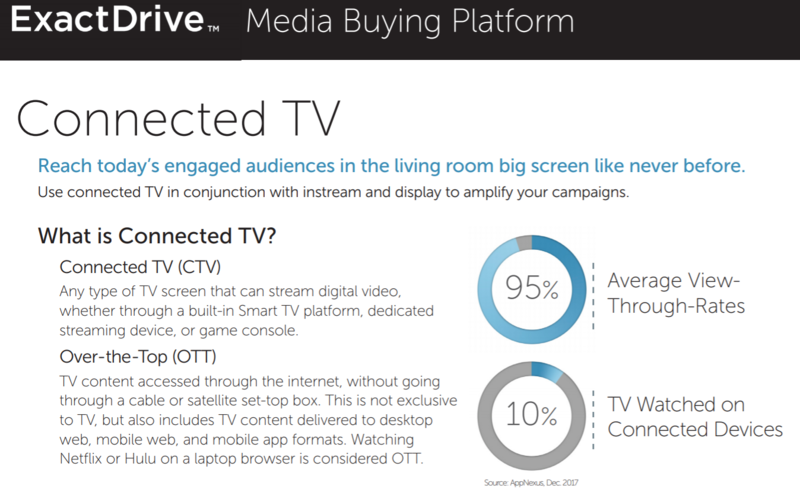 Exceptional targeting and metrics: Like many next-level advertising formats available today, connected TV promotions come with options for highly-targeted advertising. 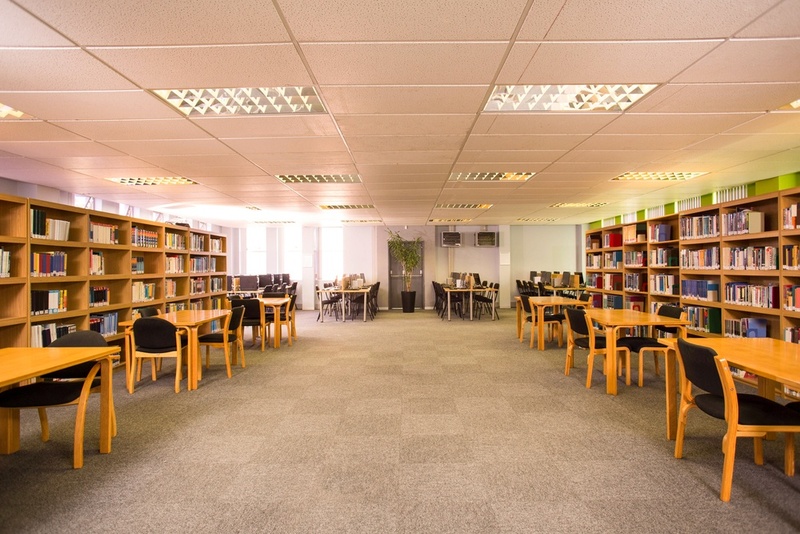 You can decide exactly which postcode you want to target, whether you'd like to connect with audiences that have a specific series of interests, and more. You can even choose when and where your ads should appear. All that, and you get a selection of useful real-time metrics to measure to determine just how effective your campaigns are. Connected TV marketing gives businesses a unique way to connect with their audiences by combining "traditional" and modern, digital formats. You can deliver an experience that feels native on TV, without compromising on the benefits of digital advertising. This means that people are still actively engaged and ready to promote your brand or purchase your product when they see your connected TV ad.